When it comes to healthy and bouncy hair, using loads of hair products and cosmetics will not give you the lustrous mane that you desire. Good hair comes from a healthy and sensible nutritional programme. It is pertinent to remember that hair is essentially made up of protein and needs that in adequate quantities to remain strong and shiny. Apart from that, a host of vitamins and minerals are needed for optimal hair growth and a well nourished scalp. All possible hair problems ranging from hair thinning, dandruff, damaged and brittle hair can be overcome with a healthy diet. Here are some important diet tips and foods for healthy hair. 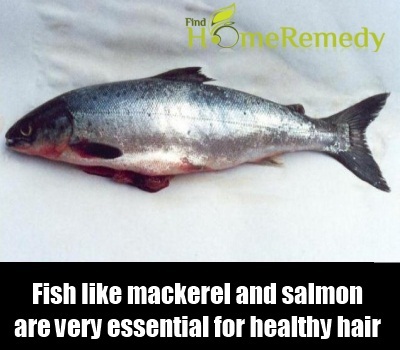 Fish like mackerel and salmon are very essential for healthy hair. Not only do they contain A-grade proteins but also contain the vital omega-3 fatty acids that help to nourish the hair. It is said that 3% of the hair shaft is made up of this vital fatty acid so you must supplement it with your food. This fatty acid nourishes and hydrates your scalp. Aim for 5-6 portions of salmon every week. If you are a vegetarian, you can get your daily dose of omega-3 fatty acids from walnuts, almonds, avocadoes and flaxseeds. There is nothing like zinc, an important trace mineral for beautiful and silky hair. 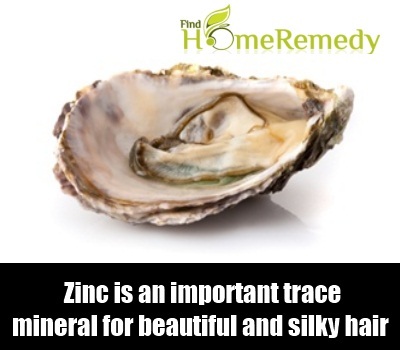 Deficiency of zinc is responsible for falling and brittle hair. Not only this, but a zinc deficiency can lead to a dry and flaky scalp with a higher incidence of dandruff. Eat zinc-fortified cereals or have oysters, which are one of the best sources of zinc. 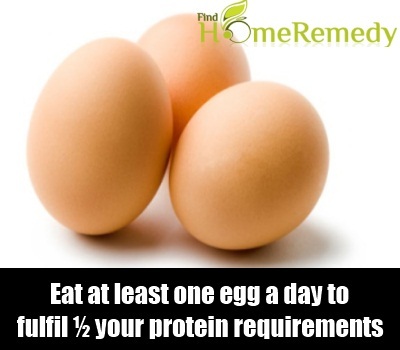 Eat at least one egg a day to fulfil ½ your protein requirements. Of course, you must endeavour to eat other forms of proteins as well but eggs also contain folate and zinc, which are invaluable minerals for the health and well-being of your hair. Eggs also contain trace amounts of iron, which help to carry oxygen to the hair follicles thus strengthening them and preventing hair loss. That is why severely anaemic women also suffer from acute hair loss. Make sure you also eat chicken, fish, pork and beef which are all high sources of iron. The lentils and pulses that you eat everyday contain biotin, a vitamin that is critical for the health and sheen of your hair. 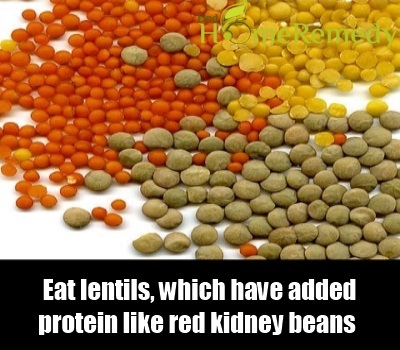 Eat lentils, which have added protein like red kidney beans. That way you will not only get your quota of biotin but also essential protein that will strengthen the hair from the root. Recent research has concluded that eating yoghurt will increase the volume and thickness of your hair, thus making the hair more bouncy. 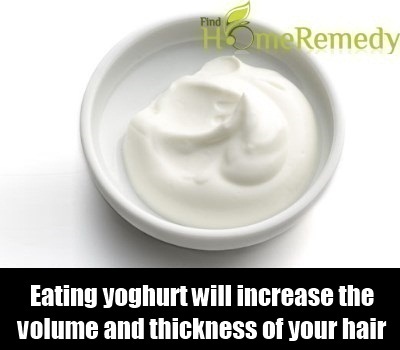 Yoghurt has the essential vitamin B5 along with vitamin D that is supposed to strengthen the hair follicle. Citrus fruits as we all know contain heaps of vitamin C that not only boosts the immunity but also improves the circulation of the blood to the scalp, this vitamin helps to feed the tiny blood vessels that run to the scalp, thus nourishing the hair follicle. This leads to stronger hair and lesser hair breakage. 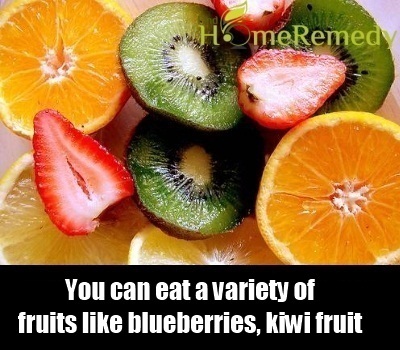 You can eat a variety of fruits like blueberries, kiwi fruit, oranges and guavas to get your daily dose of vitamin C.
Prunes are a type of raisin. They are black in colour and loaded with the goodness of iron. It is an ideal food to have for people who are deficient in iron. 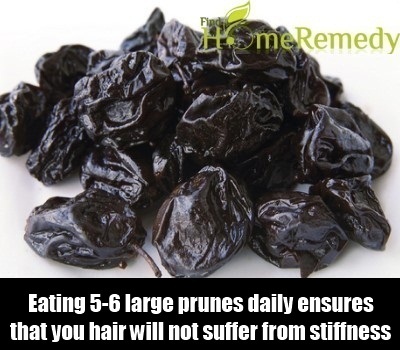 Eating 5-6 large prunes daily ensures that you hair will not suffer from stiffness, discolouration, thinning and dryness. Having a small bowl of oats ensures that you not only get fibre that cleanses your body from within but also ensures that you get a decent dose of polyunsaturated fatty acids that are needed for hair strength and a well nourished scalp. 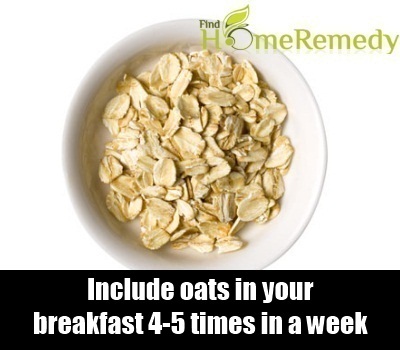 Include oats in your breakfast 4-5 times in a week. 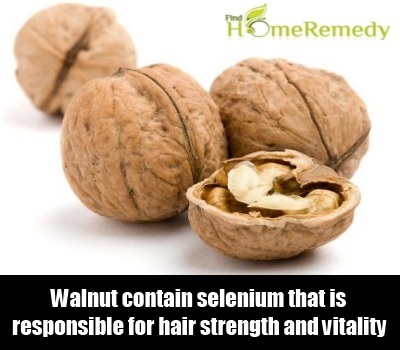 Walnuts as explained earlier are not only a good source of omega-3 fatty acids but also contain selenium, a mineral that is responsible for hair strength and vitality. The deficiency of this mineral leads to vigorous and severe hair loss in the body. 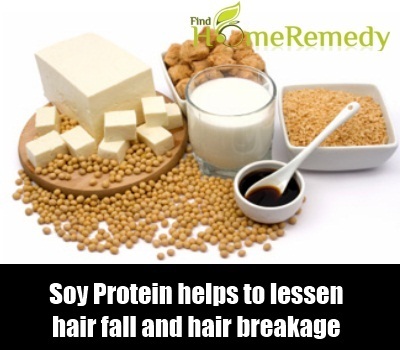 Soy protein is one of the best forms of protein and one of the best ways in which you can give nourishment to your hair. It has DHT inhibiting properties, which helps to lessen hair fall and hair breakage. 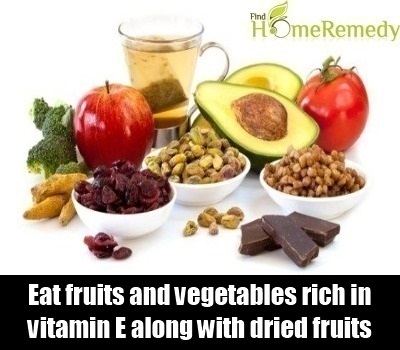 Eat fruits and vegetables rich in vitamin E along with dried fruits, which are packed with the goodness of vitamin E. Vitamin E is vital for the health of the hair and the skin. It improves the circulation of oxygen to the scalp thus minimizing hair loss and hair fall. Silica is another trace mineral that is needed by the body for healthy hair. Silica helps in absorbing the vitamins and minerals that are needed by the body to form new hair follicles and new hair cells to promote healthy hair growth. 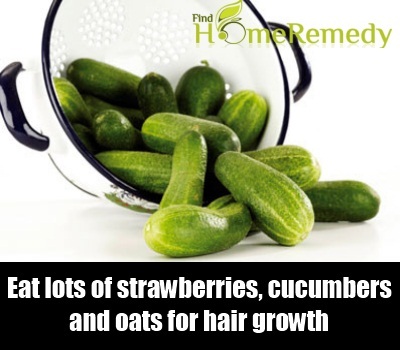 Eat lots of strawberries, cucumbers and oats for hair growth. 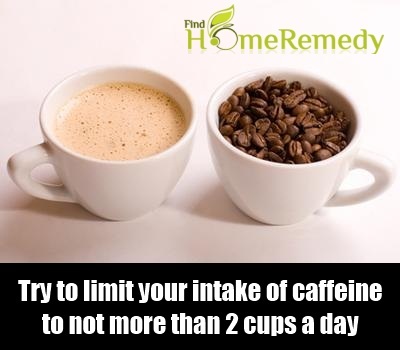 Try to limit your intake of caffeine to not more than 2 cups a day. Coffee leads to malabsorption and depletion of the essential vitamins and minerals that are used by the hair for hair growth. Caffeine can lead to adrenaline production and stress which exacerbates the hair fall. 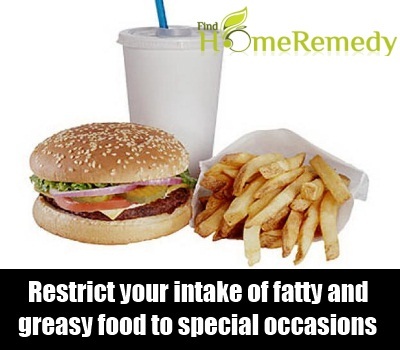 Say no to fatty and greasy foods. These increase the production of oil and sebum on your scalp thus making it oily and dandruff prone. This may also lead to excessive hair fall and hair damage. Eat a balanced diet and restrict your intake of such foods to special occasions only. 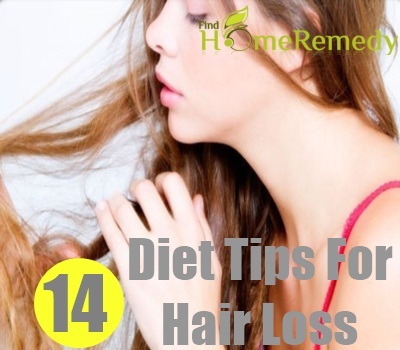 While heredity and environmental factors too play an important role in determining hair fall, hair loss can be defeated with the help of the correct nutrition and diet tips. Get the right diet advice from your doctor for good and healthy hair.